Republished with permission from PJ Library. What makes something a mitzvah? The literal meaning of the Hebrew word mitzvah is commandment, but the generally accepted sense is that of a good deed. Acting on something is what makes it a mitzvah. It is not a mitzvah simply to wish your friend’s head were warmer. Nor is it a mitzvah to worry that she might be uncomfortable or catch a cold without a hat. It might be a mitzvah to purchase a hat for your bare-headed friend. But making her a special hat with twenty beautiful red pom-poms? Now that’s a mitzvah! Each copy of A Hat for Mrs. Goldman includes special instructions to make the "Sophia Hat." If you're feeling inspired by the book and want to make something to help others stay warm, but you're not quite ready for knitting, here are five activities to do with your children to spend time together, keep some keppies warm, and do a mitzvah (or two) of your own. If your kids can tie a knot they can make a blanket or a scarf or a sleeping bag! Grab some fleece from your local craft or fabric store, or, stay warm at home and order a yard or two online. Making these blankets is super easy, works those fine motor skills, and keeps kids in one place long enough to chat and share favorite stories or winter memories. If you're inspired by a story like How Dalia Put a Big Yellow Comforter Inside a Tiny Blue Box, consider making blankets and scarves to donate as your mitzvah. Warm up your tummy with a tasty hot beverage like this dairy and sugar-free hot cocoa from Living Well Mom. 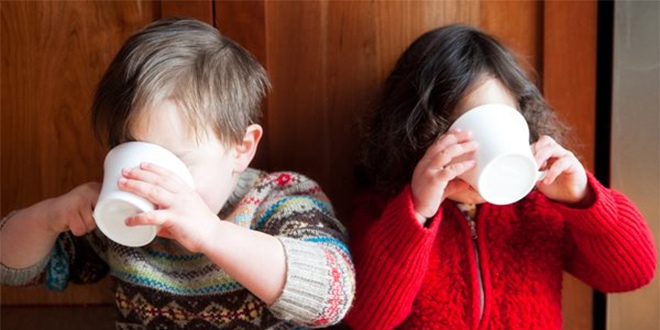 If your family doesn't do chocolate, try a "hot vanilla," or a tasty warm cider. Share the warmth by making hot cocoa or soup kits to give to friends and family. Another idea? Read a story like Chicken Soup, Chicken Soup, Bone Button Borscht, or Chicken Soup by Heart and make a big pot of soup together. While traditional knitting projects (and knitting needles, yikes!) are too advanced for preschoolers, kids as young as three can master finger weaving and make scarves and headbands. 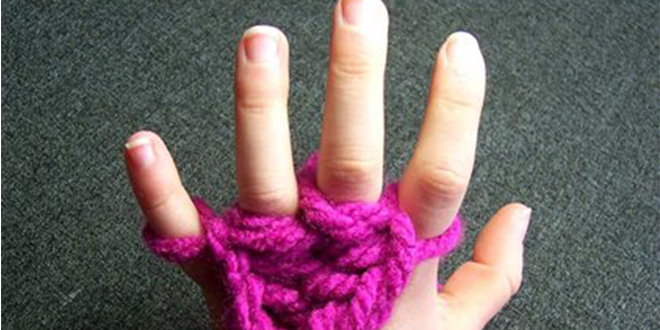 Finger weaving is also basically a brain-food activity for little hands--knitting like this exercises pattern-making skills, problem solving, critical thinking and fine motor dexterity. Your children will be doing a mitzvah and boosting their brain power at the same time! Put on some warm pjs, snuggle under a blanket, and read your favorite stories aloud. 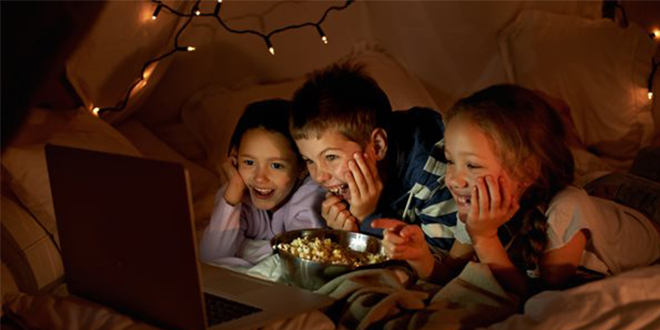 Invite friends or neighbors over to participate - make forts, spread out on the floor, and enjoy each other's company. You'll be feeling warm from the inside out as you spend quality time with people you care about--and being a good friend is a mitzvah! Need something to read? Don't miss our list of books about friendship and teamwork. 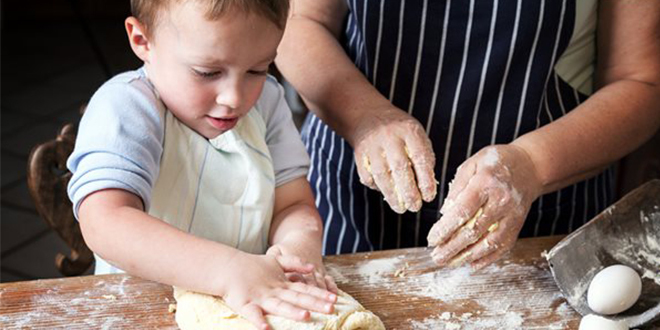 Ok, baking is a great activity for several reasons: your kitchen will be nice and toasty, your house will smell great, baking helps kids (and grownups too) develop close reading skills, and baking is all about precision--doubling or halving a recipe is a fantastic way to practice addition and subtraction with older kids. You can bake a cake from a box, a quick challah, or a delicious rugelach. Your creations don't have to be edible either. You can make salt dough to bake trinkets and paper weights, or make a batch of play-dough to save for later. We'd love to see your "Sophia Hats," warm moments, and any family projects inspired by a PJ Library book. Share your photos with us on Instagram and Facebook and you might be our weekly #PhotoFriday feature!